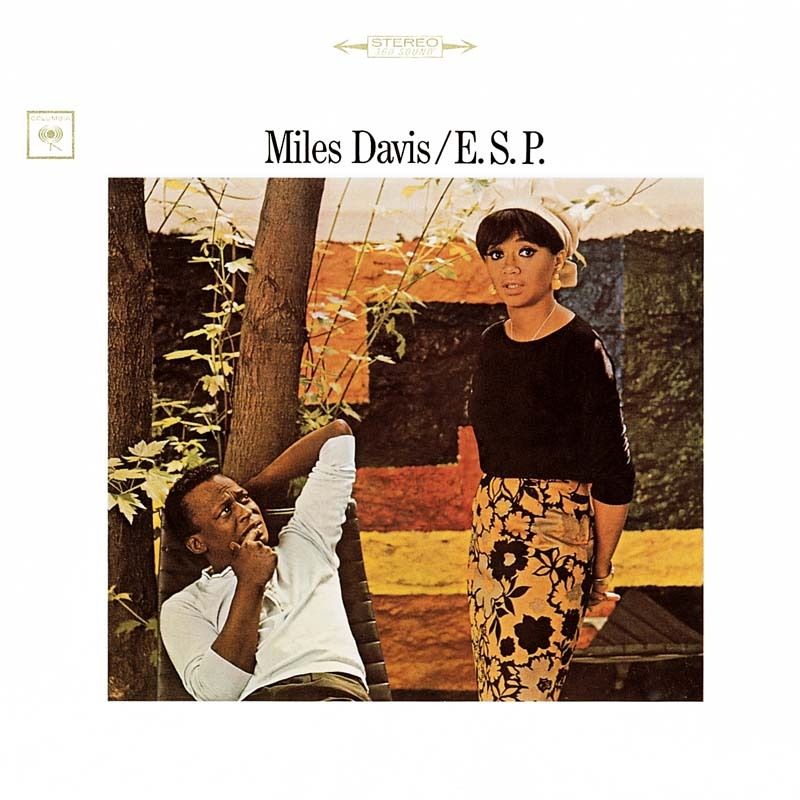 This is the last time that Frances appeared on the cover of a Miles Davis album. Everything was going wrong with the couple, and they painfully separated at the end of 1965. In terms of music, however, things couldn’t have been better. Since Wayne Shorter’s arrival, the five members of the quintet seemed to communicate by mental telepathy, inspiring the title E.S.P. (extra sensory perception). Miles had been staying away from the studios to avoid running into Teo Macero since their quarrel following the release of Quiet Nights, but suddenly he returned to the studio in Los Angeles, far away from Teo. The trumpeter signed two pieces, one a devilishly funky blues, “Eighty-One,” (actually written by Ron Carter, but probably shaped in the studio by Miles) on which binary and tertiary rhythms alternated (listen to the improvisations, and you’ll understand). The other, the melodic abstraction “Agitation” that until 1969 was often used to open concerts, illustrated how the modal options of “So What” and “Flamenco Sketches” found a new outlet—six years after Kind Of Blue. But the return to the inspiration of the 1959 masterpieces was mainly due to the compositions of his young companions who were responsible for writing six of the seven tunes on the album.